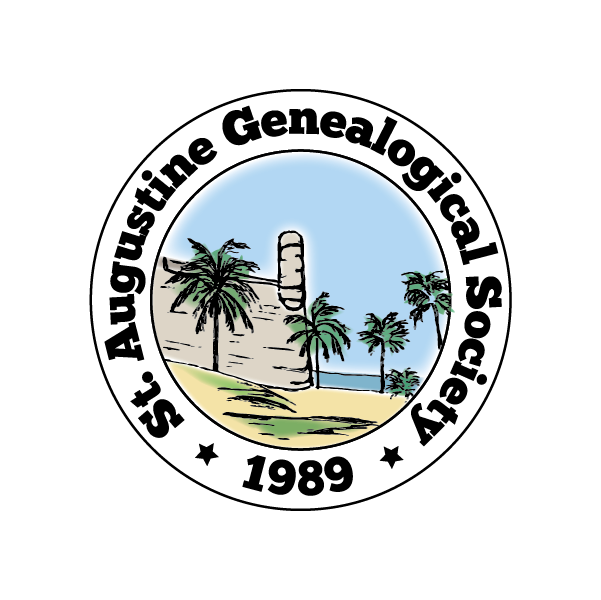 Founded in 1989, the St. Augustine Genealogical Society is dedicated to promoting interest in family history and supporting our members in their genealogical research efforts. Our monthly programs include topics related to research methodology, technical support and storytelling. Monthly membership meetings offering a broad range of research-related programs. Member-only access to our members site and virtual special interest group sites (SIGS) offering support in specific areas of technical and research topics. Member-only access to the society publications library. Regular membership dues are $20 per year. Family membership dues are $25 per year. A lifetime membership is $100 for a single member and $125 for a family.